I made a tiny mini quilt out of leftover hexagons and the need to practice something I’ve never done before – corners that aren’t 90° in shape. I want to use this new-to-me finishing look for a table runner but feared I would mess the whole thing up. So I took a couple of hexies I had left from that very project to make them into a triangle-y shaped small quilt. I really worried too much about the corners, it’s no big change to regular ones. But I’m happy I got this cute little thing out of my trial. The look of the cut off corners might even look good on a square sized quilt, I might have to try that out sometime. Hope you all have a good start into your weekend. Happy 3. Oktober to my fellow German dwellers, 25 years of our united country is pretty superb! Tolle Idee, das muss ich ausprobieren! What a fun little quilt! 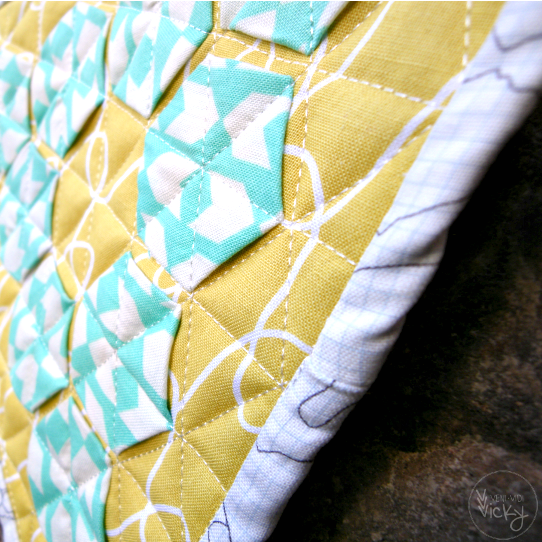 And I think you are right, the cut off corners would make for a fun change to a standard square quilt. How fun! It would look so pretty with a teapot sitting on it! It’s a nice touch also that the hexies aren’t totally sewn down. 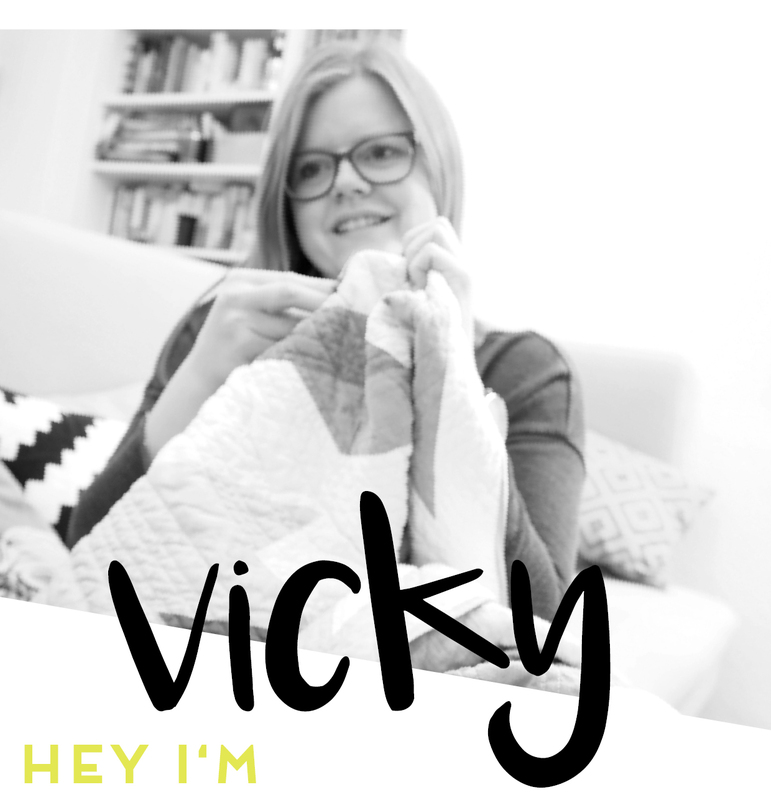 Gotta love hexies… and trying something new. Your unconventional corners turned out very nicely! 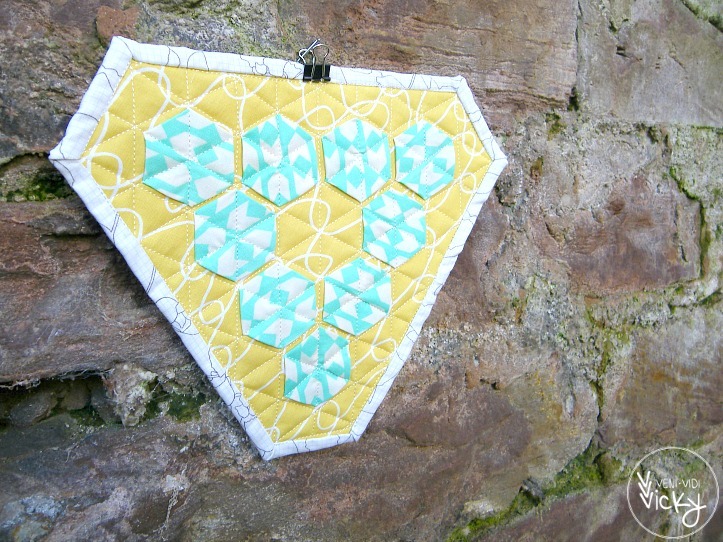 Great idea to practice Corners and I love this Kind of hexies… I think I have to try it once. Good way to practice – on something small. This is really cute and I love the idea of sliced off corners. So cute!! I love this. It turned out lovely! Well done. Sweet mini — thanks for sharing! Hey, that’s super – I just *love* how the hexie edges are free. 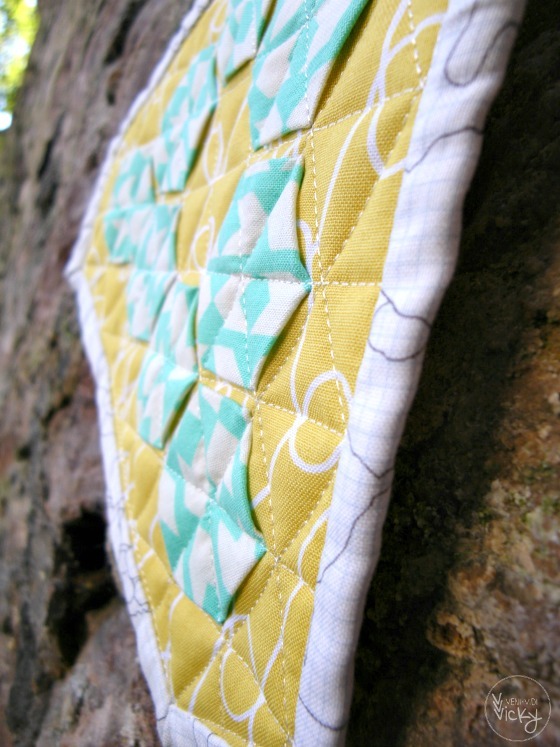 I love mini quilts! What a fun use for some leftover hexies. I love the triangle shape, very cool.